Jason is a Senior Outpatients Physiotherapist, working in the areas of musculoskeletal, sports and orthopaedic physiotherapy, and with a special interest in Men’s Health. He is our Team Leader for our Annerley clinic. Jason is our Clinical Stream Leader for Men’s Health, providing coordination and clinical mentoring for physiotherapists across our sites. He works closely with many of Queensland’s well-known Urologists. He provides physiotherapy to rehabilitate pelvic floor muscles for men, particularly following surgery for Prostate Cancer. He is skilled at using innovative clinical technologies to support pelvic floor assessment and muscle training. Jason is currently working collaboratively with Professor Paul Hodges from the University of Queensland on research surrounding post-prostate surgical recovery entitled, Urinary Continence and Incontinence: New Insight through New Technologies. He also teaches physiotherapy students in the area of Men’s Health at Australian Catholic University. 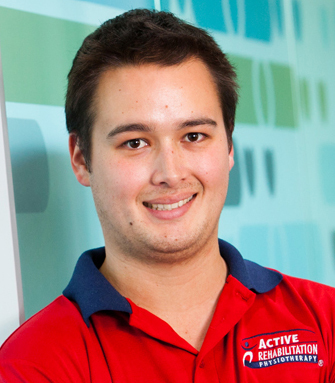 Jason graduated from the University of Queensland with a Masters of Physiotherapy Studies. He also holds a Degree in Biomedical Science, and was awarded Dean’s Commendations for Academic Excellence in both his Undergraduate and Master’s degrees. Jason is an active sportsman with a particular focus on football, tennis and swimming. Jason dedicates much of his spare time to developing his career as a football official.